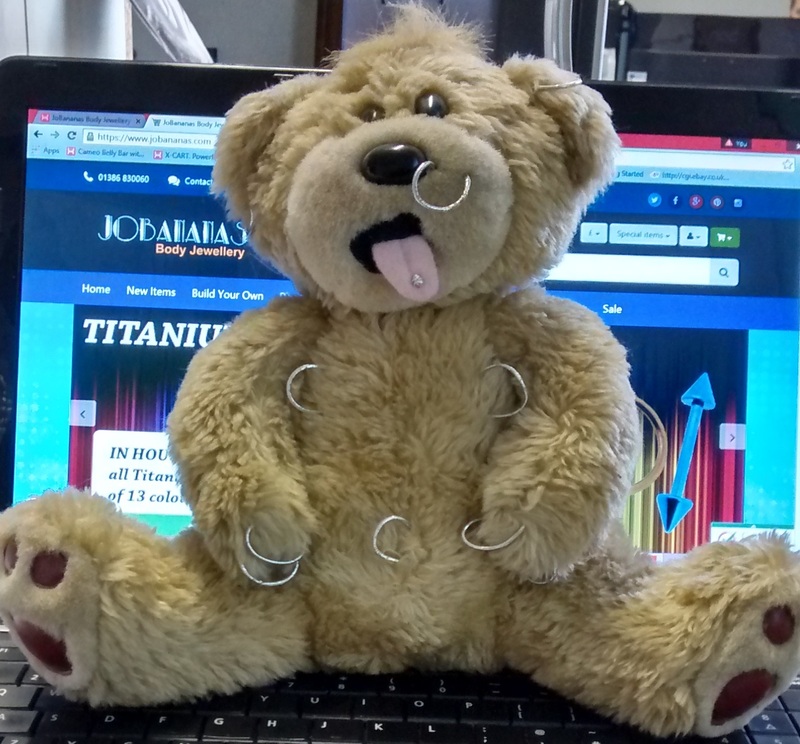 Ringo the Bear has become somewhat of a mascot at JoBananas HQ in Sunny Evesham! Over the last 12 years or so he has overseen thousands of orders being packed and watched new stock come in, overseen the photography and products being uploaded onto the website. He has always brought a smile to our faces and now he has decided that he would like to bring a smile to your faces by offering a series of Special Offers on our Body Jewellery designs over the next few days. Ringo will be advertising his latest deal on the home page of the website - don't forget to check back daily for the latest deals on your Piercing Jewelry.